No. 1 seed Kansas is a 3-point underdog to Duke on Sunday, but betting on the Jayhawks has been hazardous to our health — emotionally, physically and financially — as they’ve dealt their backers back-to-back bad beats. As Michigan bettors are still trying to solve the riddle of why Florida State — which closed as a 4½-point underdog — didn’t foul trailing by four with 12 seconds left in Saturday’s night’s 68-64 loss, we’re faced with another conundrum in Sunday’s NCAA Tournament action. Underdogs are on a sizzling 15-3 run against the spread with 10 outright wins in the tournament. No. 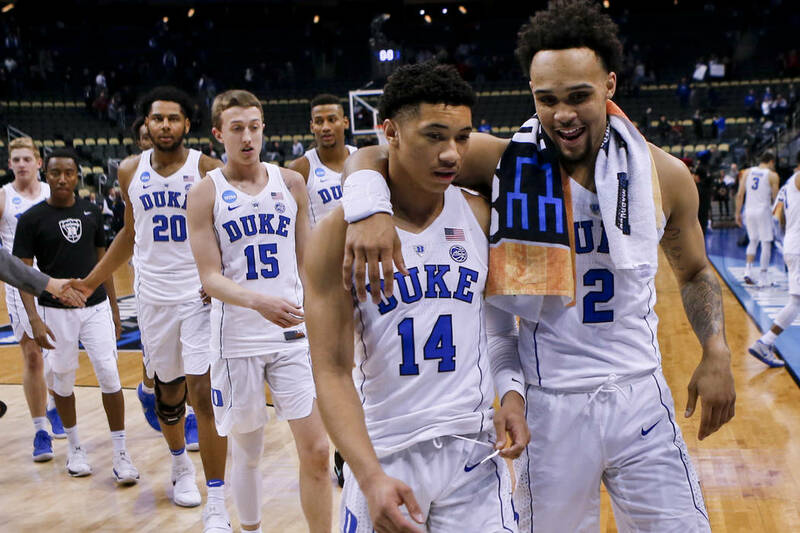 1 seed Kansas is a 3-point underdog to Duke on Sunday, but betting on the Jayhawks has been hazardous to our health — emotionally, physically and financially — as they’ve dealt their backers back-to-back bad beats. Sunset Station sports book director Chuck Esposito said the early action has been on Kansas, which opened as 3½-point underdog. But handicapper Ted Sevransky (@teddy_covers) is siding with the Blue Devils. Villanova vs. Texas Tech, 11:20 a.m. Heading into Sunday, there are six contestants left in Station Casinos’ college basketball Last Man Standing contest, which started with 2,525 entries. The winner will take home the total prize pool of $51,350.